Micah Jones has become a source of inspiration to thousands through her story of faith, determination, and hope. Born on February 10, 1981, Micah’s love of music began at a young age. She loved performing, singing, and writing plays for family holidays and children's church. Micah even learned her multiplication tables to music. Micah attended Miami University until her junior year and decided veterinarian medicine was not for her. She visited schools in Nashville, deciding on Middle Tennessee State University, a well known school for anyone interested in pursuing a degree in the recording industry. Micah knew it was there that she would be able to chase her dream of working in the music industry. Driven by a competitive spirit, always ready to take on a new challenge Micah’s contagious, bubbly personality had found its way to Nashville. At the end of her senior year, as she prepared for graduation from MTSU, her life changed dramatically. On July 9, 2004, just a month before graduating with a music business degree in Mass Communication Micah was injured. It was an exciting day for Micah, as she had started a much sought after internship with a Music Row company. After working an event with the record label, Micah was crossing the street to get a taxi when she was struck by a drunk driver. She was thrown 15 feet in the air landing on a curb with a metal edge. Instantaneously she was in a coma. The witnesses said her body was posturing. She was so close to death. Micah was transported to Vanderbilt Medical Center. Her family was given the diagnosis – severe traumatic brain injury, subdural hematoma, right temporal skull fracture, basal skull fracture, subarachnoid hemorrhage, left thalamic intraparenchymal hemorrhage. She was given a one (1) on the neurological Glasgow scale that records the conscious state of a person for initial assessment. Generally, brain injury is classified as severe with a score less than eight (8). There were many other injuries including a shattered leg and a lacerated liver; these were nothing compared to the severity of the brain injury. The trauma doctors fought to keep her alive through blood clots, brain swelling, seizures—she had a 10% chance of survival. If she lived, she would have constant medical care for the rest of her life. For days, there was no movement, nothing. As Micah lay in a coma at Vanderbilt, the city of Nashville embraced this beautiful, lifeless girl who was rallying for her life. Strangers kept telling her family how she had in some way made an impact on them, after meeting her only one time. From Vanderbilt to a hospital in Ohio, her family waited for her to awaken. Once awake, Micah was on her way to recovery. The ten stages of waking from a coma were difficult to watch. She spent weeks at an Ohio State rehabilitation facility re-learning to walk, talk, read, and write. All the while Micah was dealing with the excruciating pain of heterotopic ossification (triggered by the brain injury) which is extra bone growing in the muscles of her legs. Her foundation of faith has been her backbone and her source of truth, hope, and strength. However, her love of music remains. It just runs in her blood. Before she could even recognize family, she knew the words to some of her favorite songs. Throughout her recovery the family was encouraged to play her favorite music even if she didn’t respond. Struggling with long and short term memory deficits and sleep disturbances, the reality and severity of this life altering event has become very apparent to Micah. Micah believes adversity brings opportunities greater than we can imagine. 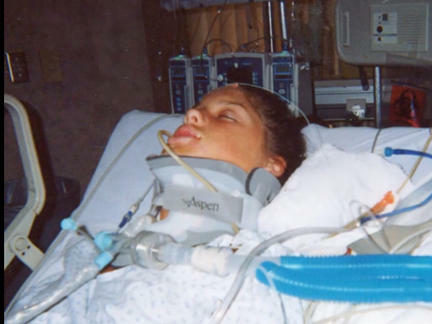 Almost seven years later, Micah is determined to make a difference in others' lives by the launching of her own foundation, BrainSong, The Micah Jones Foundation, which supports other women with traumatic brain injuries. Micah realizes that her life can have incredible influence, although the path getting there was very different from the one that she had imagined. She is now living a life with new lyrics. Micah’s song has just begun.